Colombia (/kəˈlʌmbiə/ (listen) kə-LUM-bee-ə, /-ˈlɒm-/ -⁠LOM-; Spanish: [koˈlombja] (listen)), officially the Republic of Colombia (Spanish: República de Colombia (help·info)),[Note 1] is a sovereign state largely situated in the northwest of South America, with territories in Central America. Colombia shares a border to the northwest with Panama, to the east with Venezuela and Brazil and to the south with Ecuador and Peru. It shares its maritime limits with Costa Rica, Nicaragua, Honduras, Jamaica, Haiti, and the Dominican Republic. Colombia is a unitary, constitutional republic comprising thirty-two departments, with the capital in Bogotá. The population is concentrated in the Andean highlands and along the Caribbean coast, also the population densities are generally higher in the Andean region. The nine eastern lowland departments, comprising about 54% of Colombia's area, have less than 6% of the population. Traditionally a rural society, movement to urban areas was very heavy in the mid-20th century, and Colombia is now one of the most urbanized countries in Latin America. The urban population increased from 31% of the total in 1938 to nearly 60% in 1973, and by 2014 the figure stood at 76%. The population of Bogotá alone has increased from just over 300,000 in 1938 to approximately 8 million today. In total seventy-two cities now have populations of 100,000 or more (2015). As of 2012 Colombia has the world's largest populations of internally displaced persons (IDPs), estimated to be up to 4.9 million people. The National Administrative Department of Statistics (DANE) does not collect religious statistics, and accurate reports are difficult to obtain. However, based on various studies and a survey, about 90% of the population adheres to Christianity, the majority of which (70.9%–79%) are Roman Catholic, while a significant minority (16.7%) adhere to Protestantism (primarily Evangelicalism). Some 4.7% of the population is atheist or agnostic, while 3.5% claim to believe in God but do not follow a specific religion. 1.8% of Colombians adhere to Jehovah's Witnesses and Adventism and less than 1% adhere to other religions, such as Islam, Judaism, Buddhism, Mormonism, Hinduism, Indigenous religions, Hare Krishna movement, Rastafari movement, Orthodox Catholic Church, and spiritual studies. The remaining people either did not respond or replied that they did not know. In addition to the above statistics, 35.9% of Colombians reported that they did not practice their faith actively. ^ Juan Fernando Londoño (2009). "Partidos políticos y think tanks en Colombia" (PDF) (in Spanish). International Institute for Democracy and Electoral Assistance. p. 129. ISBN 978-91-85724-73-4. Archived from the original (PDF) on 27 March 2015. Avianca S.A. (acronym in Spanish for Aerovias del Continente Americano S.A., "Airways of the American Continent") is a Colombian airline. It has been the national airline and flag carrier of Colombia since 5 December 1919, when it was initially registered under the name SCADTA. It is headquartered in Bogotá, D.C. with its main hub at El Dorado International Airport. Avianca is the flagship of a group of eight Latin American airlines, whose operations are combined to function as one airline using a codesharing system. Avianca is the largest airline in Colombia and second largest in Latin America, after LATAM of Brazil-Chile. Avianca and its subsidiaries have the most extensive network of destinations in Latin America. It is wholly owned by Synergy Group S.A., a South American holding company established by Germán Efromovich and specialising in air transport. It is listed on the Colombia Stock Exchange.Through SCADTA, Avianca is the world's second oldest airline after KLM, and celebrated its 90th anniversary in 2009, when it was announced that it would merge with TACA. It is the oldest airline in the Western Hemisphere. It became an official member of Star Alliance on 21 June 2012, after a process that lasted approximately 18 months from the initial announcement of its invitation to join the Alliance. Bogotá (, , ; Spanish pronunciation: [boɣoˈta] (listen)), officially Bogotá, Distrito Capital, abbreviated Bogotá, D.C., and formerly known as Santafé/Santa Fé de Bogotá between 1991 and 2000, is the capital and largest city of Colombia, administered as the Capital District, although often erroneously thought of as part of Cundinamarca. Bogotá is a territorial entity of the first order, with the same administrative status as the departments of Colombia. It is the political, economic, administrative and industrial center of the country. The city of Cartagena, known in the colonial era as Cartagena de Indias (Spanish: Cartagena de Indias [kaɾtaˈxena ðe ˈindjas] (listen)), is a major port founded in 1533, located on the northern coast of Colombia in the Caribbean Coast Region. It was strategically located between the Magdalena and Sinú rivers and became the main port for trade between Spain and its overseas empire, establishing its importance by the early 1540s. During the colonial era it was a key port for the export of Peruvian silver to Spain and for the import of enslaved Africans under the asiento system. It was defensible against pirate attacks in the Caribbean. It is the capital of the Bolívar Department, and had a population 971,592 as of 2016. It is the fifth-largest city in Colombia and the second largest in the region, after Barranquilla. The urban area of Cartagena is also the fifth-largest urban area in the country. Economic activities include the maritime and petrochemicals industries, as well as tourism. Since the mid-1980s, the national team has been a symbol fighting the country's negative reputation. This has made the sport popular and made the national team a sign of nationalism, pride and passion for many Colombians worldwide. Colombia is known for having a passionate fan base.Colombia had its strongest period during the 1990s. A 1993 match resulted in a 5–0 win over Argentina which began a special "mutual respect" rivalry between both nations. The goalkeeper René Higuita achieved fame from his eccentric scorpion kick clearance against England at Wembley Stadium in 1995. Stars from Colombia's team included Carlos Valderrama and Faustino Asprilla. During this era Colombia qualified for the 1990, 1994, and 1998 World Cups, only reaching the second round in 1990. Following the murder of Andrés Escobar after the 1994 World Cup, Colombia's team faded in the latter half of the 1990s. They were the champions of the 2001 Copa América, which they hosted and set a new Copa América record of conceding no goals and winning each match. Prior to that success, they were runners-up to Peru in the 1975 Copa América. In total, Colombia has gained a top four result in seven Copa Américas. Colombia was the first team to win FIFA best mover in 1993 where the achievement was first introduced and the second team after Croatia to win it twice in 2012.Colombia missed three World Cups between 2002 and 2010. During the 2014 World Cup qualifiers, Colombia showed improvement over the 2011 Copa América, bringing its rank up to the top ten for the first time since 2002 and into the top five consistently for the first time since 2004. After a 16-year-long wait, in 2014 Colombia finally returned to the World Cup, where they were able to advance to the quarter-finals, the furthest Colombia has ever made it in a World Cup. Colombia's midfielder James Rodríguez won two awards, the Golden Boot for most goals (6) and Best Goal of the Tournament. The Colombian conflict began in the mid-1960s and is a low-intensity asymmetric war between Colombian governments, paramilitary groups, crime syndicates and far-left guerrillas such as the Revolutionary Armed Forces of Colombia (FARC), and the National Liberation Army (ELN), fighting each other to increase their influence in Colombian territory. Two of the most important international actors that have contributed to the Colombian conflict are multinational companies and the United States.It is historically rooted in the conflict known as La Violencia, which was triggered by the 1948 assassination of populist political leader Jorge Eliécer Gaitán, and in the aftermath of United States-backed strong anti-communist repression in rural Colombia in the 1960s that led liberal and communist militants to re-organize into FARC.The reasons for fighting vary from group to group. The FARC and other guerrilla movements claim to be fighting for the rights of the poor in Colombia to protect them from government violence and to provide social justice through communism. The Colombian government claims to be fighting for order and stability, and seeking to protect the rights and interests of its citizens. The paramilitary groups claim to be reacting to perceived threats by guerrilla movements. Both guerrilla and paramilitary groups have engaged in drug trafficking and terrorism. All of the parties engaged in the conflict have been criticized for numerous human rights violations. According to a study by Colombia's National Centre for Historical Memory, 220,000 people have died in the conflict between 1958 and 2013, most of them civilians (177,307 civilians and 40,787 fighters) and more than five million civilians were forced from their homes between 1985 – 2012, generating the world's second largest population of internally displaced persons (IDPs). 16.9% of the population in Colombia has been a direct victim of the war. 2.3 million children have been displaced from their homes, and 45,000 children killed, according to national figures cited by Unicef. In total, one in three of the 7.6 million registered victims of the conflict are children, and since 1985, 8,000 minors have disappeared. A Special Jurisdiction for Peace will be created to investigate, clarify, prosecute and punish serious human rights violations and grave breaches of international humanitarian law which occurred during the armed conflict. Its purpose would be to satisfy victims' right to justice. A Special Unit was created to search for persons deemed as missing within the context of and due to the armed conflict.Colombian President Juan Manuel Santos said that a peace deal with the FARC by 20 July 2016 would end the conflict with this organization if the talks which started in 2012 were successfully concluded. On 23 June 2016, the Colombian government and the FARC rebels signed a historic ceasefire deal, bringing them closer to ending more than five decades of conflict. However, on October 2, 2016, a majority of the Colombian public rejected the deal. In October 2016, Juan Manuel Santos was awarded the Nobel Peace Prize for his efforts to bring the country's more than 50-year-long civil war to an end. The Colombian government and the FARC on November 24 signed a revised peace deal and the revised agreement was to be submitted to Congress for approval. The House of Representatives unanimously approved the plan on November 30, a day after the Senate also gave its backing. Colombians (colombianos in Spanish) are citizens of Colombia. A Colombian can also be a person born abroad to a Colombian parent or legal guardian as well as a person who acquired Colombian citizenship. Colombia is a multiethnic society, home to people of various ethnic, religious and national origins. As a result, majority of Colombians do not equate their nationality with their ethnicity, usually embracing and espousing both simultaneously. The majority of the Colombian population is made up of Old World immigrants and their descendants. Following the initial period of Spanish conquest and immigration, different waves of immigration and settlement of non-indigenous peoples took place over the course of nearly six centuries and continue today. Elements of indigenous Amerindian and more recent immigrant customs, languages and religions have combined to form the culture of Colombia and thus a modern Colombian identity. 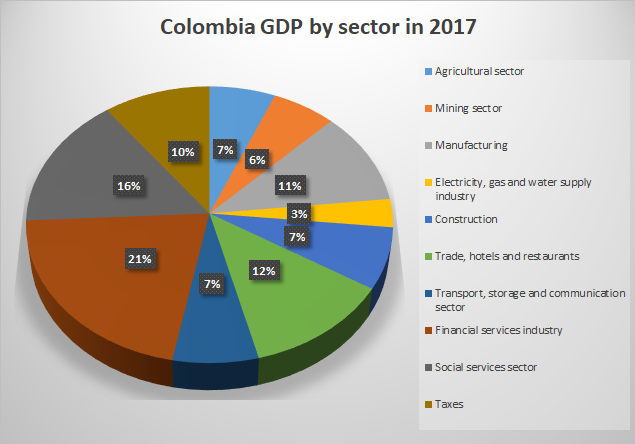 In this regard, Colombia and Colombians share many cultural similarities with their South American neighbors: Brazilians, Venezuelans and others. At the time of its creation, Gran Colombia was the most prestigious country in Spanish America. John Quincy Adams, then Secretary of State and future president of the United States, claimed it to be one of the most powerful nations on the planet. This prestige, added to the figure of Bolívar, attracted to the nation unionist ideas of independence movements in Cuba, the Dominican Republic and Puerto Rico, which sought to form an associated state with the republic.But international recognition of the legitimacy of the Gran Colombian state ran afoul of European opposition to the independence of states in the Americas. Austria, France, and Russia only recognized independence in the Americas if the new states accepted monarchs from European dynasties. In addition, Colombia and the international powers disagreed over the extension of the Colombian territory and its boundaries.Gran Colombia was proclaimed through the Fundamental Law of the Republic of Colombia, issued during the Congress of Angostura (1819), but did not come into being until the Congress of Cúcuta (1821) drafted the Constitución constitucional. James David Rodríguez Rubio (American Spanish: [ˈxamez roˈðɾiɣes]; born 12 July 1991), commonly known simply as James, is a Colombian professional footballer who plays as an attacking midfielder or winger for German club Bayern Munich on loan from Real Madrid, and the Colombia national team. He has been praised for his technique, vision and playmaking skills, and often referred as the successor to his compatriot Carlos Valderrama.James became well known in Europe during his time at Porto, winning several trophies and individual awards during his three years at the club. In 2014, James moved from AS Monaco to Real Madrid for a transfer fee of £63 million, which beat the one set by Radamel Falcao and made him the most expensive Colombian football player and one of the most expensive players in football. He started his international career with the Colombia under-20 team, with which he won the 2011 Toulon Tournament. He then captained the U-20 team during the 2011 FIFA U-20 World Cup. Due to his performance in the tournament, he was regularly called into the senior squad by the age of 20. He played in the 2014 and 2018 FIFA World Cup, winning the Golden Boot as the top goalscorer in the former tournament and being included in the Cup's All Star Team. He also represented his nation at the 2015 Copa América and the Copa América Centenario in 2016, winning a third-place medal in the latter tournament. Medellín (Spanish pronunciation: [meðeˈʝin] or [meðeˈʎin]), officially the Municipality of Medellín (Spanish: Municipio de Medellín), is the second-largest city in Colombia and the capital of the department of Antioquia. It is located in the Aburrá Valley, a central region of the Andes Mountains in South America. According to the National Administrative Department of Statistics, the city has an estimated population of 2.5 million as of 2017. With its surrounding area that includes nine other cities, the metropolitan area of Medellín is the second-largest urban agglomeration in Colombia in terms of population and economy, with more than 3.7 million people. At the beginning of the 21st century the city regained industrial dynamism, with the construction of the Medellín Metro commuter rail, liberalized development policies, improved security and improved education. Researchers at the Overseas Development Institute have lauded the city as a pioneer of a post-Washington consensus "local development state" model of economic development. The city is promoted internationally as a tourist destination and is considered a global city type "Gamma -" by GaWC.The Medellín Metropolitan Area produces 67% of the Department of Antioquia's GDP and 11% of the economy of Colombia. Medellín is important to the region for its universities, academies, commerce, industry, science, health services, flower-growing and festivals. In February 2013, the Urban Land Institute chose Medellín as the most innovative city in the world due to its recent advances in politics, education and social development. In the same year, Medellín won the Verónica Rudge Urbanism Award conferred by Harvard University to the Urban Development Enterprise, mainly due to the North-Western Integral Development Project in the city. In September 2013, the United Nations ratified Colombia's petition to host UN-Habitat's 7th World Urban Forum in Medellín, from April 5–11, 2014.Medellín won the Lee Kuan Yew World City Prize 2016. The award seeks to recognize and celebrate efforts in furthering innovation in urban solutions and sustainable urban development. Panama ( (listen) PAN-ə-mah; Spanish: Panamá [panaˈma]), officially the Republic of Panama (Spanish: República de Panamá), is a country in Central America, bordered by Costa Rica to the west, Colombia to the southeast, the Caribbean Sea to the north, and the Pacific Ocean to the south. The capital and largest city is Panama City, whose metropolitan area is home to nearly half the country's 4 million people.Panama was inhabited by indigenous tribes before Spanish colonists arrived in the 16th century. It broke away from Spain in 1821 and joined the Republic of Gran Colombia, a union of Nueva Granada, Ecuador, and Venezuela. After Gran Colombia dissolved in 1831, Panama and Nueva Granada eventually became the Republic of Colombia. With the backing of the United States, Panama seceded from Colombia in 1903, allowing the construction of the Panama Canal to be completed by the US Army Corps of Engineers between 1904 and 1914. The 1977 Torrijos–Carter Treaties led to the transfer of the Canal from the United States to Panama on December 31, 1999.Revenue from canal tolls continues to represent a significant portion of Panama's GDP, although commerce, banking, and tourism are major and growing sectors. It is regarded as a high-income country. In 2015 Panama ranked 60th in the world in terms of the Human Development Index. In 2018, Panama was ranked seventh-most competitive economy in Latin America, according to the World Economic Forum's Global Competitiveness Index. Covering around 40 percent of its land area, Panama's jungles are home to an abundance of tropical plants and animals – some of them found nowhere else on the planet. Panama is a founding member of the United Nations and other international organizations such as OAS, LAIA, G77, WHO and NAM. The operations of the FARC–EP were funded by kidnap and ransom; illegal mining; extortion or taxation of various forms of economic activity and the taxation, production and distribution of illegal drugs. The United Nations has estimated that 12% of all killings of civilians in the Colombian conflict were committed by FARC and National Liberation Army (ELN) guerrillas, with 80% committed by right-wing paramilitaries, and the remaining 8% committed by Colombian security forces.The strength of the FARC–EP forces were high; in 2007, the FARC said they were an armed force of 18,000 men and women; in 2010, the Colombian military calculated that FARC forces consisted of about 13,800 members, 50 percent of whom were armed guerrilla combatants; and, in 2011, the President of Colombia, Juan Manuel Santos, said that FARC–EP forces comprised fewer than 10,000 members. In 2013 it was reported that 26,648 FARC and ELN members had decided to demobilize since 2002.According to a report from Human Rights Watch in 2006, approximately 20–30% of the recruits were minors, some of whom were forced to join the FARC, while women comprise around 40 percent of the guerilla army. The greatest concentrations of FARC forces were in the southeastern, northern and southwestern regions of Colombia's 500,000 square kilometers (190,000 sq mi) of jungle, in the plains at the base of the Andean mountain chain and in northwestern Colombia. However, the FARC and the ELN lost control of much of the territory, especially in urban areas, forcing them to relocate to remote areas in the jungle and the mountains.In 1964, the FARC–EP was established as the military wing of the Colombian Communist Party (Partido Comunista Colombiano, PCC), after the Colombian military attacked rural communist enclaves in the aftermath of The Violence (La Violencia, ca. 1948–58). The FARC were a violent non-state actor (VNSA) whose formal recognition as legitimate belligerent forces is disputed by some organizations. As such, the FARC has been classified as a terrorist organization by the governments of Colombia, (since 1997) the United States, Canada, Chile, (since 2010) New Zealand, and (until 2016) the European Union; whereas the governments of Venezuela, Brazil, Argentina, Ecuador, and Nicaragua do not. In 2008, Venezuelan President Hugo Chávez recognized the FARC–EP as a proper army. President Chávez also asked the Colombian government and their allies to recognize the FARC as a belligerent force, arguing that such political recognition would oblige the FARC to forgo kidnapping and terrorism as methods of civil war and to abide by the Geneva Convention. Juan Manuel Santos followed a middle path by recognizing in 2011 that there is an "armed conflict" in Colombia although his predecessor, Álvaro Uribe, strongly disagreed. In 2012, FARC announced they would no longer participate in kidnappings for ransom and released the last ten soldiers and police officers they kept as prisoners, but it has kept silent about the status of hundreds of civilians still reported as hostages, and continued kidnapping soldiers and civilians. In February 2008, millions of Colombians demonstrated against the FARC.In 2012, the FARC made 239 attacks on the energy infrastructure. However, they showed signs of fatigue. As of 2014, the FARC were not seeking to engage in outright combat with the army, instead concentrating on small-scale ambushes against isolated army units. Meanwhile, from 2008 to 2017, the FARC opted to attack police patrols with home-made mortars, sniper rifles, and explosives, as they were not considered strong enough to engage police units directly. This followed the trend of the 1990s during the strengthening of Colombian government forces.In June 2016, the FARC signed a ceasefire accord with the President of Colombia, Juan Manuel Santos in Havana. This accord was seen as a historic step to ending the war that has gone on for fifty years. On 25 August 2016, the Colombian president, Juan Manuel Santos, announced that four years of negotiation had secured a peace deal with FARC and that a national referendum would take place on 2 October. The referendum failed with 50.24% voting against. The Colombian government and the FARC on 12 November 24 signed a revised peace deal, which the Colombian Congress approved on November 30.On 27 June 2017, FARC ceased to be an armed group, disarming itself and handing over its weapons to the United Nations. One month later, FARC announced its reformation as a legal political party, the Common Alternative Revolutionary Force, in accordance with the terms of the peace deal. However, thousands of FARC dissidents still take on FARC's original doctrine and continue with drug trafficking. Simón José Antonio de la cruz Santa maria Trinidad Bolívar Palacios Ponte y Blanco (Spanish: [siˈmon boˈliβaɾ] (listen); English: BOL-iv-ər; 24 July 1783 – 17 December 1830), generally known as Simón Bolívar and also colloquially as El Libertador, or the Liberator, was a Venezuelan military and political leader who led the secession of what are currently the states of Venezuela, Bolivia, Colombia, Ecuador, Peru, and Panama from the Spanish Empire. Bolívar was born into a wealthy, aristocratic Criollo family and, as was common for the heirs of upper-class families in his day, was sent to be educated abroad at a young age, arriving in Spain when he was 16 and later moving to France. While in Europe, he was introduced to the ideas of the Enlightenment, which later motivated him to overthrow the reigning Spanish in colonial South America. Taking advantage of the disorder in Spain prompted by the Peninsular War, Bolívar began his campaign for independence in 1808. The campaign for the independence of New Granada was consolidated with the victory at the Battle of Boyacá on 7 August 1819. Later he established an organized national congress within three years. Despite a number of hindrances, including the arrival of an unprecedentedly large Spanish expeditionary force, the revolutionaries eventually prevailed, culminating in the patriot victory at the Battle of Carabobo in 1821, which effectively made Venezuela an independent country. Following this triumph over the Spanish monarchy, Bolívar participated in the foundation of the first union of independent nations in Latin America, Gran Colombia, of which he was president from 1819 to 1830. Through further military campaigns, he ousted Spanish rulers from Ecuador, Peru, and Bolivia, the last of which was named after him. He was simultaneously president of Gran Colombia (present-day Venezuela, Colombia, Panama and Ecuador), Peru, and Bolivia, but soon after his second-in-command, Antonio José de Sucre, was appointed president of Bolivia. Bolívar aimed at a strong and united Spanish America able to cope not only with the threats emanating from Spain and the European Holy Alliance but also with the emerging power of the United States. At the peak of his power, Bolívar ruled over a vast territory from the Argentine border to the Caribbean Sea. Bolívar fought 472 battles of which 79 were important ones, and during his campaigns rode on horseback 123,000 kilometers, which is 10 times more than Hannibal, three times more than Napoleon, and twice as much as Alexander the Great. Bolívar is viewed as a national icon in much of modern South America, and is considered one of the great heroes of the Hispanic independence movements of the early 19th century, along with José de San Martín, Francisco de Miranda and others. Towards the end of his life, Bolívar despaired of the situation in his native region, with the famous quote "all who served the revolution have plowed the sea". In an address to the Constituent Congress of the Republic of Colombia, Bolívar stated "Fellow citizens! I blush to say this: Independence is the only benefit we have acquired, to the detriment of all the rest." Washington had an estimated population of 702,455 as of July 2018, making it the 20th most populous city in the United States. Commuters from the surrounding Maryland and Virginia suburbs raise the city's daytime population to more than one million during the workweek. Washington's metropolitan area, the country's sixth largest, had a 2017 estimated population of 6.2 million residents.All three branches of the U.S. federal government are centered in the District: Congress (legislative), president (executive), and the U.S. Supreme Court (judicial). Washington is home to many national monuments, and museums, primarily situated on or around the National Mall. The city hosts 177 foreign embassies as well as the headquarters of many international organizations, trade unions, non-profits, lobbying groups, and professional associations, including the World Bank Group, the International Monetary Fund (IMF), the Organization of American States, AARP, the National Geographic Society, the Human Rights Campaign, the International Finance Corporation, and the American Red Cross.